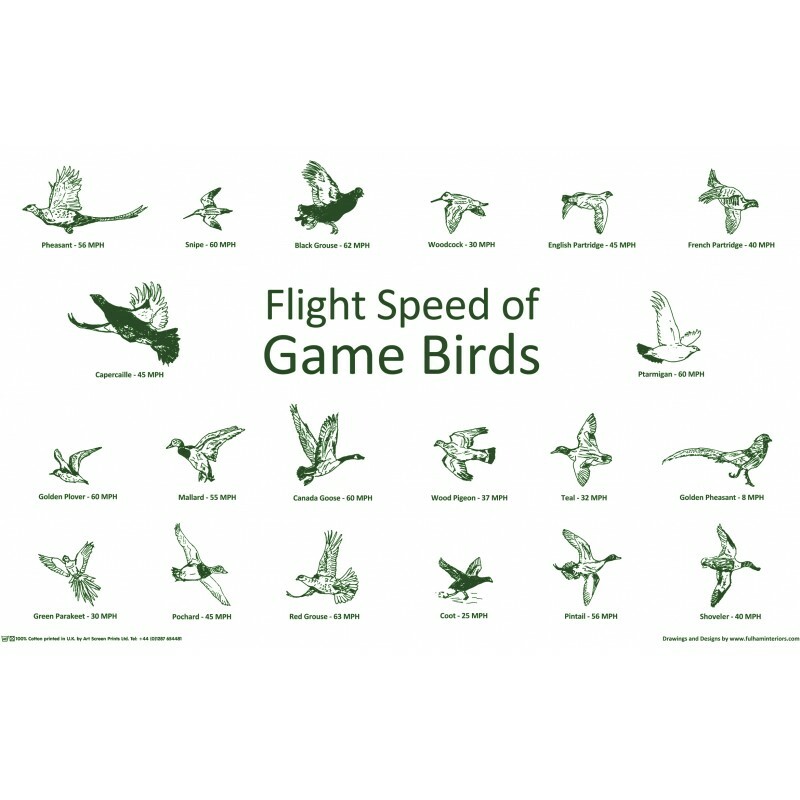 Fulham Fox Flight Speed of Game Birds on a durable and fully heatproof place-mat, perfect as a single center piece or a set but beware guests might find the information more interesting than the company! Speeds taken at 25 - 30 Yards Height on a flat wind trajectory 5 - 10 mph. All game birds featured you might bump into in the field.